When you’re ready to get behind the wheel of a brand new car, our exceptional team is here for you. 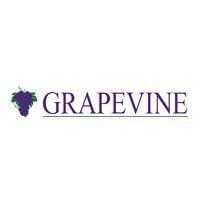 We’ll help you through every step of the process, including financial planning, at our Grapevine dealership. When you’ve decided on the vehicle that is right for you, our team will help you find out what your current car is worth. By utilizing this simple online form, you can find what your car’s trade in value is quickly and easily. With our online form, you can find out the value of your trade in effortlessly. Select the trade option and input the information on your vehicle. We’ll need to know the car year, make and model, trim, mileage, and condition. Once we have all this information, we’ll make you an offer and send it directly to the email you have provided. Once you’ve received our offer and are ready to trade in your car, you’ll be able to apply for financing with our quick application. If you’re ready to trade in your car and get behind the wheel of something new, contact us at Grapevine DCJ conveniently located in Grapevine today.